With Sunday, May 12 fast approaching (surely you’ve seen the Hallmark stands), we’ve rounded up the top spots in Brisbane to spoil the number one lady in your life. Whether she’s telling you that yes, you do need a jacket, or no, your ex definitely has not changed, mum is always right, and always has your best interest in mind. It doesn’t matter if you’re a terrible toddler, awkward adolescent or struggling semi-adult, we all have a lot to thank our mum (or mum figure!) for. We’ve rounded up Brisbane’s best Mother’s Day dining to celebrate everyone’s main lady – have another vino, ma. She’s great at dancing around the subject when we ask “what about this outfit?”, and she’ll love the dancing, care of Queensland Ballet, at Sofitel Brisbane Central’s Mother’s Day High Tea Party! 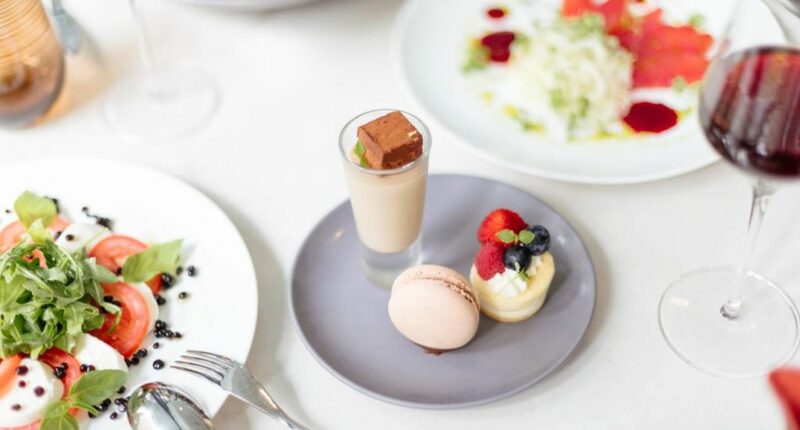 Over both morning and afternoon tea sessions, Sofitel’s Ballroom Le Grand will be transformed into a Versaille-style paradise stocked with tea-time classics, desserts and savouries, as well as a glass of French sparkling wine (go on, mum, have another). Ballet fans (and Dance Moms) will love the option to upgrade to seating with premium views of the ballet, plus a sneaky Moet & Chandon rosé piccolo, for an additional $24. Bookings can be made here. While Victoria Park’s Champagne brunch and breakfast buffet are all sold out, Victoria Park Bistro will be open all day, with a complimentary glass of sparkling on offer for mum at lunch and dinner (and a massive playground to ensure ten minutes of sipping in silence)! Your mum has experienced a lot of lunches in her time, but none quite like this. 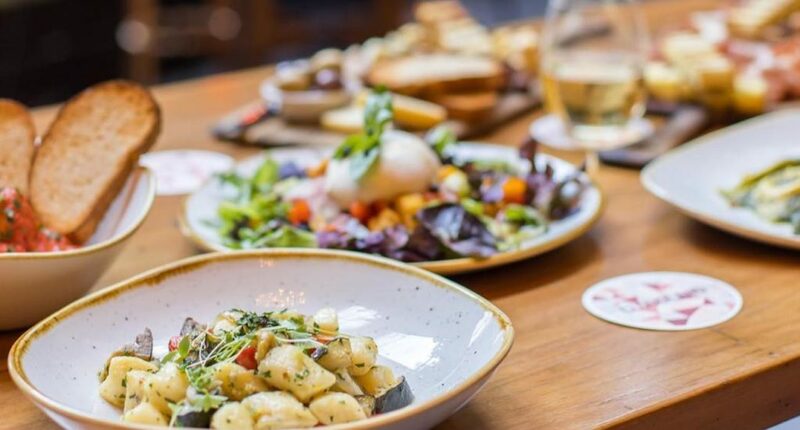 Ovolo Inchcolm’s signature restaurant, Salon de Co, is creating a unique Mother’s Day lunch with enough extra perks to keep her smiling right through to next year. A five course menu with the option to add on matched beverages (play the perfect child card and make sure you do) will be a stunning start to her day, with everything from black garlic waffle and fromage frais to Murray Gold cod with local organic tomato dashi, cuttlefish and wasabi treating her palate and giving her what she really wants for Mother’s Day – a day off from cooking. Two’s a Mother’s Day party done right, as each mum will also receive a cocktail crafted to her liking and named after the great woman herself, as well as a personalised take-home gift. The lunch runs from 12pm-3pm, and you can either get tickets here, email events.inchcolm@ovolohotels.com, or call 07 3226 8888 for more information. Take mum sky-high at Cloudland with a three-course Italian-style shared lunch and a glass of GH Mumm Cordon Rouge and Mumm macaron on arrival! Cloudland’s Mother’s Day lunch will run across two sessions (11-1:30 and 2-4:30), so there’s plenty of time for mum (and you) to squeeze in a nap before or after lunch. Share snacks to start like wood-fired bread with sun-dried tomato dip, ricotta, and chicken liver parfait before moving into an entree of school prawns and arancini, and mains of chicken and cuttlefish with salads, plus ice cream to finish! Tickets are $49 and available here. Shower mum with love (and Champagne… and a complimentary spa voucher) – it’s all she needs. 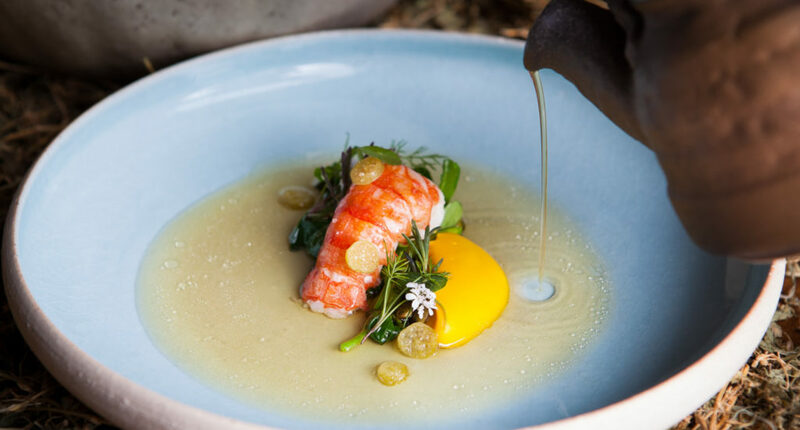 The Westin’s perfect Mother’s Day package promises each lucky lady a luxe Champagne Long Lunch in the hotel’s signature restaurant, Eden’s Table. Depending on her taste, three different Champagne packages await – starting at $90 with Vigna Sancol Prosecco, $130 with Laurent Perrier La Cuvée, and $190 with Laurent Perrier Rosé. Each accompanying long lunch will see jaw-dropping creations from paddock and ocean to plate, with an extra tasty treat just for mum. Each booking will receive a $50 Heavenly Spa by Westin voucher as a special gift, and lord knows how much that woman deserves to be pampered. Two sessions are available for both early-risers and the ‘please let me sleep in for once’ mums, with 12pm-2pm and 2:30pm-4:30pm ready for the taking. Book online here, or call 07 3557 8888 to secure your spot. It’s all mum, all day at the Regatta Hotel on Sunday, May 12! 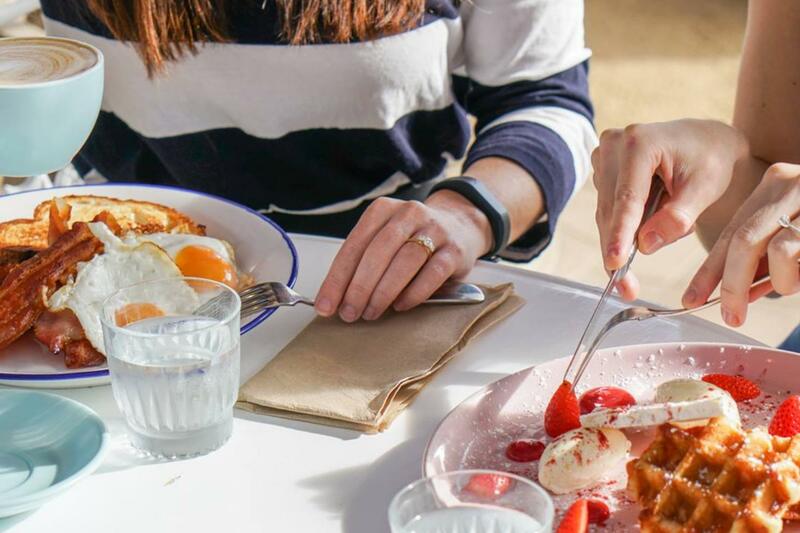 From a la carte breakfast at The Boatshed Restaurant with maple waffle stacks and smashed avo on sprouted wheat sourdough to a breakfast buffet in the upstairs dining room, the breaky options at the Regatta are sure to beat your soggy attempt at scrambled eggs in bed. If mum’s not a morning person, the buffet luncheon in the upstairs dining room is sure to hit the spot with hotties like slow-roasted pork, baked salmon, and potato gratin and cold faves like mussels, charcuterie platters and salads to keep mum feeling as fabulous as the Regatta’s iconic river views. With children’s dining options available across each event, Mother’s Day is in the bag (mum’s massive bag) at the Regatta. Book a la carte breaky at The Boatshed by calling 3871 9595, and the buffet dining options here. Take Mother’s Day to the next level with an exquisite high tea AND open grazing station at Four Points by Sheraton! They’re serving two iconic foodie treats for your magnificent mum to indulge in, with the likes of smoked salmon blinis with dill, cream cheese and baby capers and opera cake with layers of almond sponge, coffee-scented buttercream and dark chocolate ganache spread across the sumptuous high tea. 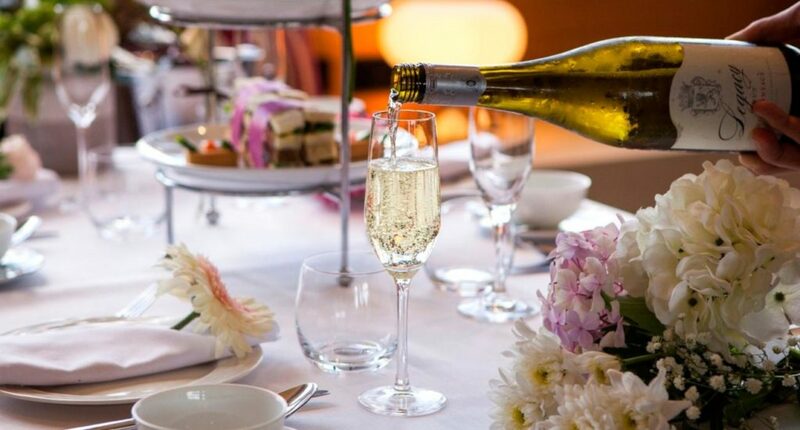 Each mum will meet a glass of Mumm Rosé Champagne on arrival, followed by a glass of house wine (or a non-alcoholic beverage), and coffee and tea. To send her heart soaring, let mum know that $2 from every booking will be donated to Ronald McDonald House, helping out a lot of mums with kids in need! Book here, or call 07 3164 4000 – and prepare for plenty of hugs from mum for doing so. There are plenty of mums in the sea and they all deserve to be treated to the best on Mother’s Day – which is why you need to set sail for One Fish Two Fish. 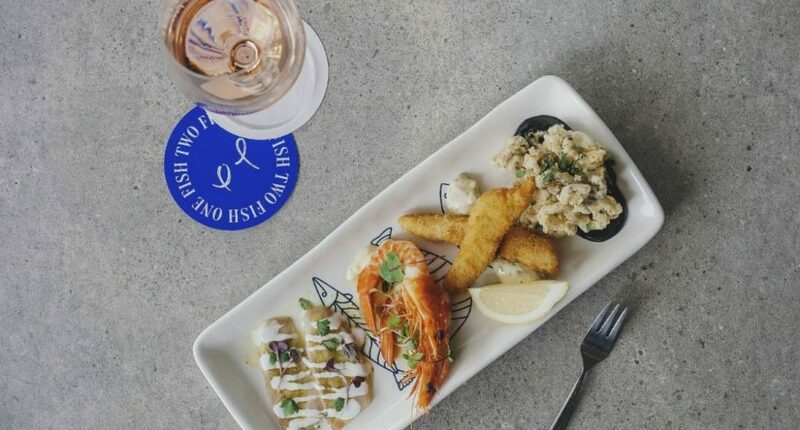 Tackle the opportunity to construct her ultimate day out, with nostalgic ’80s tunes setting the backdrop to memorable time spent with her loved ones… good rosé and great seafood (sorry, kids). From 11am on Mother’s Day, spoiling mum will be as easy as one, two, fish with a fabulous a la carte menu plus the option of two stunning seafood specials available on the day. If mum wants something a little more high-key, introduce her to a two course lunch with unlimited French rosé or Balter XPA for $69pp. The lunch begins with a fun seacuterie platter full of sea-based takes on the classic charcuterie platter (hello kingfish sashimi), followed by the main of your choice – which could be anything from a classic (but ridiculously well done) battered cod with fries to Thai green curry with green vegetables, Asian herbs, prawn dumplings and steamed jasmine rice. Did we mention the unlimited rosé?? Available seating times include 12pm, 2:30pm and 5pm, so book online here or call (07) 3391 7680. Prove that you love your mum six times more than anyone else by letting her indulge in a Mother’s Day banquet. Libertine Bar & Restaurant has been cooking up something extra special for the original superhero, mum, in the form of a six-course banquet featuring French-Vietnamese fare! Everyone attending to celebrate the leading lady in your lives will work through a menu that promises perfectly cooked Angus beef cheek dumplings, Victorian half shell scallop baked with mushroom pate, Moreton Bay bug curry, truffle chicken stir fry, chilli aubergine, and last (but not least), the mother of all dessert platters. To book please call 07 3367 3353. Keep checking in here, as we’ll be sure to add others to the list as their details are released!